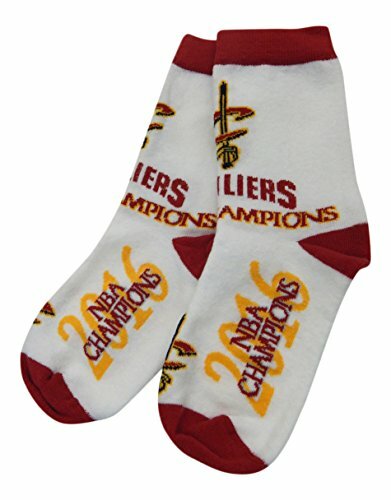 2016 NBA Champion Cleveland Cavaliers are featured on this form-fitting, child sock by For Bare Feet. CHILD size fits size range 8 to 13. If you have any questions about this product by For Bare Feet, contact us by completing and submitting the form below. If you are looking for a specif part number, please include it with your message. © 2019 - basketexpress.net. All Rights Reserved.